The rooms have to be released within 10:30 am. Every other delay must be agreed with the managers. All our rooms have their own private bathroom, are equipped with mini-bar and daily cleaning is included. On request we will supply and change bed sheets and towels. The daily cleaning and rearrangement of the rooms will start only when the rooms are free after 10:30 am. 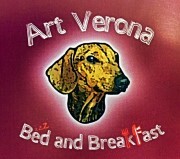 Breakfast will be served from 8.30 am to 10.00 am (except for special requirements to be agreed before). Beverages and food have been particularly selected for the best quality, ingredients' semplicity and taste satisfaction. Our customers will be offered a buffet with: beverages, cakes, fresh and in-syrup fruit, pastries, yoghurt, cereals, juices, bread, jams, ham and cheese etc.